A short time back I did a piece on what I knew of the NZ crossword industry. As a part of preparing the item, I contacted some of the people mentioned to double-check I had my facts straight. Two of the people, David Tossman and Rex Benson, I had met in Wellington a few years ago, but the other, Paul Henderson, I hadn’t communicated with before. I started up a conversation with Paul and remarked about Wellington being the centre of cryptics in NZ, and asked whether he had met either David or Rex. Long story short, the three Wellington-based crossword setters met for coffee not long after and I believe it was a pleasant time. 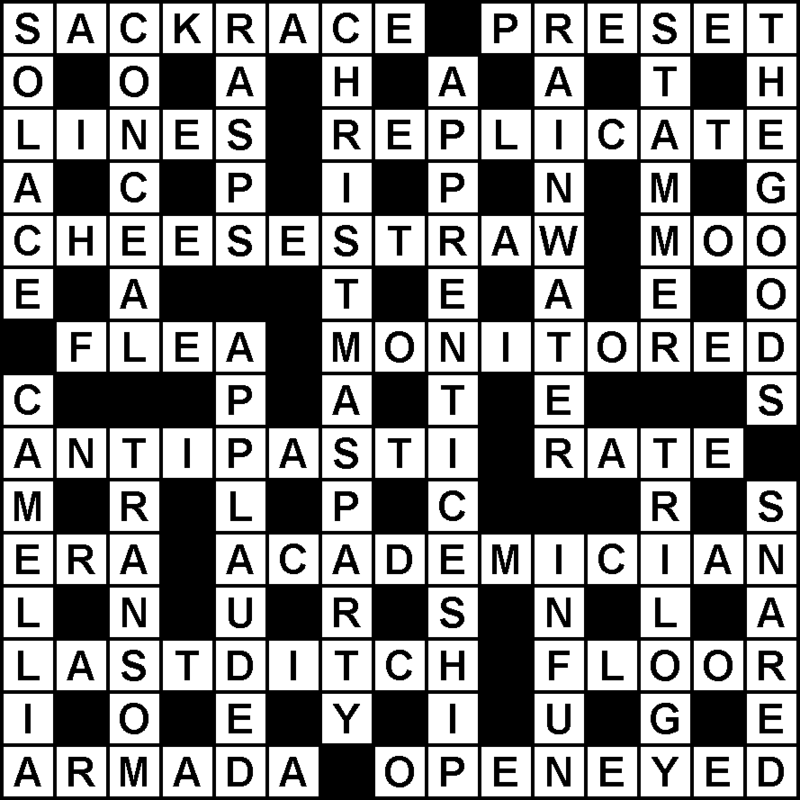 The meeting led Paul Henderson to write some blog entries about NZ’s crossword scene, something he wasn’t fully familiar with due to his history of involvement with UK cryptics. The results are in two parts, and are well worth a read. This entry was posted in Stickler Weekly Solutions, The Stickler and tagged cryptic crossword, solution, The Stickler. Bookmark the permalink. I’m struggling to understand “old white”= SACK, and can’t seem to find help in a dictionary. What am I missing? All my dictionaries list SACK as type of white wine, but some list the term as being historical or archaic. Chambers says “The old name of various dry white wines from Spain and the Canaries”. I thought it best to include “old” to reflect the status of the word. Yes – I get it too now, but would not have without explanation. Thanks ALL.